Whole Grain Goodness – new whole grains to discover for your diet. Although many of us in the United States are fortunate enough to have access to a wide variety of safe and nutritious foods, the majority of us get much of our daily energy needs from corn and wheat. Breakfast cereals, sandwich bread, granola bars, chips, pizza, pasta: corn and wheat products are hard to get away from. 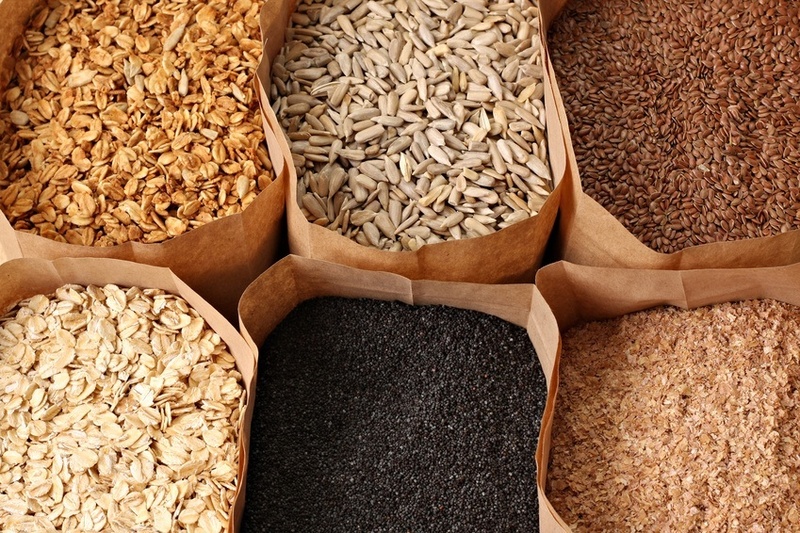 Multiple whole grains are just waiting for us in the bulk aisles of Martins and the Friendly City Food Co-op (http://www.friendlycity.coop/). Get out there and discover the whole grain goodness you’re missing out on! Barley. Like many whole grains, barley is an excellent source of fiber and B vitamins. This grain is gluten-free and can be sweetened as a breakfast cereal similar to oatmeal or added to soups and stews. Amaranth. This grain can be served like rice when cooked with one part amaranth to two parts water. It can be added to soups or stir-fries. This grain is known to contain twice as much iron as hard wheat and four times more the calcium. Amaranth flour. A gluten-free replacement for wheat flour in breads and pizza dough. Millet. This ancient grain, believed to have originated from central Asia, remains a dietary staple across Africa and Asia. Like amaranth, millet can replace rice as well as replace oats as a breakfast cereal. To prepare millet, simmer for 30-40 minutes in 2 parts liquid to 1 part grain. For a tasty breakfast, simmer millet in soy or skim milk and add raisins, cinnamon, honey, chopped apples or any toppings you might usually have on your oatmeal. Quinoa. Pronounced “KEEN-wah”, this tiny grain has recently taken the health-world by storm. Gluten-free and packed with protein, magnesium, iron and potassium, this grain is a delightful substitution for rice or pasta in stir-fries, salads, soups and porridges. It is easy to prepare too. Just bring 2 parts liquid (ex. 1 cup chicken broth) and 1 part quinoa (½ cup) to a boil, simmer for about 15 minutes or until all liquid is absorbed, and enjoy with some stir-fried veggies. Buckwheat. This cereal grain is gluten-free and is not related to wheat, despite the name. It is rich in protein and fiber and can be substituted for oatmeal for breakfast. Buckwheat can also be prepared as a main dish (popularly known as “kasha” in other parts of the world). Place one cup dry buckwheat in a skillet over medium-high heat. Stir in a beaten egg until each individual grain is separate and dry. Add 2 cups boiling liquid, reduce heat, cover and cook for 30 minutes. My most-recent discovery of whole-grain goodness: Baked Sweet Potato with Black Beans, Salsa, Quinoa and Sour Cream. I can’t go on enough about how perfectly the sweetness of the potato goes with the nutty quinoa and spicy salsa. Take one baked sweet potato and fill with a mixture of cooked quinoa and black beans. Top with salsa and sour cream and you’re good to go. Enjoy! This entry was posted in Food and Recipes and tagged grains, healthy, James Madison University, JMU, nutrition, UREC, whole grain by foodurecognize. Bookmark the permalink.